Meet Nick Graham, CIPP/E. He loves data. He loves to surf. And he loves volunteering with the IAPP. In this edition of Volunteer Spotlight, Graham discusses what he gets out of his gig as a volunteer, and what he likes to do when he's not pounding the keyboard. Graham: I joined Denton’s back in the late '90s, and that was the time when data protection was just being implemented. So, I put my hand up. I had already done some [data protection] work when I was a junior lawyer. The Privacy Advisor: What about the privacy landscape excites you? Graham: [It’s] always changing. Directly relevant to people − to every one of us. Directly relevant to everyday technology … everything relies on data. I think what’s interesting for me is that it crosses over from legal to philosophical to ethical [disciplines] And also at the moment, it’s such a growing area. Lots of opportunity, lots to talk about. It’s something you can talk to everyone about. Everyone’s got an opinion. Graham: I suppose I’m inspired by those who are believers in and passion about their area, whatever that area might be. That means passion, and energy, and drive. It could be anything from a football manager to a rock star. There’s certain people who have that gift. That’s a really special thing if you have that, charisma. Politicians though, that’s a thought. Got to be careful with that one, though. The Privacy Advisor: If you could give advice to yourself starting out, what would you say? Graham: Acquire as much practical knowledge as possible, early on, and always do the best job you can. Always be interesting. Anything can be interesting if you go into sufficient detail. Go inside out … build on that … and then a little bit later, focus on privacy. That’s easy to say now, in 2016, but there have been times when people said, “How big is this going to be?” It’s really happened in the last 10 years. Just look at the way the IAPP has grown in the last 10 years. Or the number of countries who have privacy laws based on the EU model. Some people might say, “You planned this,” but there is a bit of luck. But I’ve always had this interest in data. That’s what’s really exploded in the last decade. I like it because it’s very international. You get to talk to people all over the globe. You see cultural differences… how that same words are interpreted differently. It’s really interesting. You’re always learning. You’re never finished. That’s one of the nice things. You never get bored. No two days are the same. The Privacy Advisor: In what capacity do you volunteer with IAPP? Graham: I’m one of the volunteer members of the KnowledgeNet here in the U.K., and I’m part of the IAPP Training Advisory Board with Marla Berry. 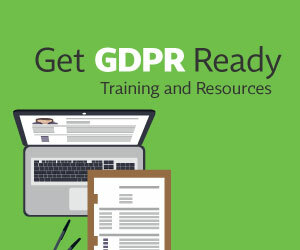 We’re looking at updates to the training, due to the GDPR. And of course as a speaker. I’ve spoken at conferences. The Privacy Advisor: What facet of your IAPP volunteer work do you enjoy the most? Graham: I think the things I enjoy most are speaking and chairing. I really enjoy that. Because I think you can really guide a discussion and encourage people to participate and hear different views, and get a little bit of disagreement. I feel that’s quite fun. The Privacy Advisor: What’s the best advice you’ve ever received? The Privacy Advisor: What do you do for fun? Graham: That’s a good question. I like going for a run. I don’t do it as much as I used to, but I do really enjoy it. When I’m near a beach, I like to go surfing. I just got back from holiday (France and Spain), so when I’m somewhere near the sea, preferable near the Atlantic, when I’ve got some good swell coming in, that’s what I like to do. The Privacy Advisor: Describe yourself in the three words. Graham: Business-focused, pragmatic, and solutions-focused, regarding work. Hopefully quite relaxed in nature, passionate about what I’m doing, and going after areas that have just interested me. I think that’s really important.